HomeFinance and ManagementMoney MantraHow Can A Housewife Help In Financial Planning? Role of a woman has been an ever-changing concept. From generations, she has been evolving in her own niche. But, the decade of 1960s registered a new era for women when feminists demanded equal rights for her. It introduced the demand for women’s equality into politics, organized religion, sports and innumerable other arenas. From then on, the picture of the society has completely transformed. Today, she is not limited to some old 4X3 area of the kitchen but rather has stepped out of the threshold of her house and joined the highly professional corporate world. Her position from the previous times when she was hardly given any right of liberty & equality has significantly improved, which was earlier beyond someone’s belief and imagination. Today, she is heading organizations, taking power in hands and handling complicated professional life efficiently and doing a lot more that she never did before. But, has she ever made herself involved into financial matters too? 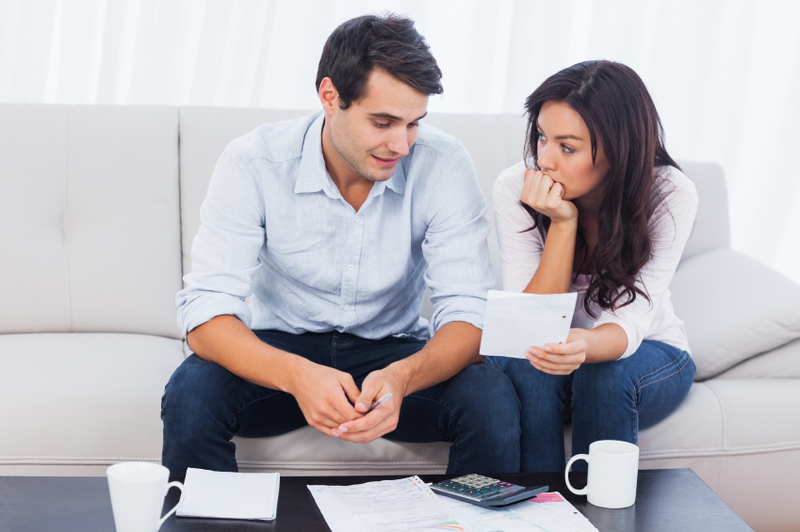 Does she understand how important is financial planning for ensuring an easygoing smooth life? Or has she ever tried to give some time to pick the best retirement plan? A housewife who dedicates herself to family care, works day and night to ensure that her house always remains in order. On monetary grounds, the only area she has been taking care is the household budget. Her husband gives her some monthly amount to manage household expenses and she does it successfully. She never gets herself involved in other money matters that could be life-changing, leaving them on her husband to manage. But, is this the right thing to do? We know that money is very essential for living and its rise and fall, both, can have significant impact on our needs and living standard. Then, why is a woman so casual towards it? A recent incident that needs to be shared is that of the Kumars. Mr. Kumar met with an unfortunate accident and died an uncertain death, at an early age, leaving two sons after him. As usual, he too had made various investments, but since Mrs. Kumar was totally unaware with all his money matters, she was left empty-handed after his death. It became difficult for her to survive and take care of her children with no money after her husband’s demise, more because she was non-working wife. Even though she was living in a joint family, the lack of awareness of financial matters left her worried, as she now had to manage financial affairs from what her husband had left for her. Like this, lack of awareness on financial matters can force any housewife to a difficult situation in the future. But it is very surprising, when in today’s world where the literacy rate of woman has gone up so high, financial literacy in women has risen in some fraction only. Even the queries received by expert financial columnist comprise 80% of men and only 15-20% from women. It could be possible either the husband didn’t feel necessary to involve his wife while discussing financial planning matters or the wives didn’t take enough interest. It is the tendency of a woman to keep aside financial issues for her husband or father to discuss while she gets herself busy doing something else. A research says, that today’s woman lacks confidence in her ability to make sound financial decisions because she possesses less knowledge of these sophisticated and complex financial products and would definitely require help. But isn’t it ironical, that a woman who considers securing others’ future her priority, unknowingly, puts her own future at stake or at the mercy of others’, by completely ignoring the uncertainties of life. It is very important for a wife to be present, along with her husband, in every discussion that is held with their financial planner. She must ask questions to understand the benefits and the risk-factors involved in each and every policy/investment. She must ensure that her husband adds her name as first-holder or as a joint-holder or as a nominee in every investment he makes. She must keep records of due dates of all the investments made and also keep a set of photocopies of all the investment records like, Life Insurance Policies, Health Insurance Policy, PPF Passbook, Mutual Fund statements and share certificates etc. She must take note to keep all these important papers in a separate folder, in her own custody. The wife must also make herself aware of all the procedures that are required to be followed to claim the fund, during maturity as well as in case of any unfortunate incident. All the contact details of the financial planner must be kept handy by her. The wife must insist that both of them should sit and draft their will at the right time and the wife must keep a copy of it with her too. The will must be drafted by the husband only after consulting wife on all points. Next time, don’t ignore financial planning by saying that it is ‘his business’ or ‘its’ not my cup of tea’. Being financially independent does not mean having a good job and earning good money, it also means to have access to each and every financial planning that your husband does. Marriage is a journey that can only be made beautiful mutually. So, why not to include our financial decisions into it.